WindEurope Wind Turbine Sound 2016 technology workshop took place on 17-18 November 2016 at the European Solidarity Centre in Gdańsk, Poland. 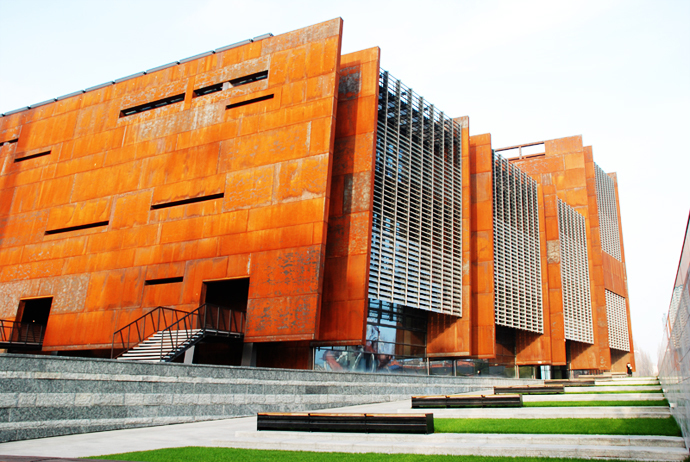 The European Solidarity Centre (Europejskie Centrum Solidarności) is a museum and library in Gdańsk, Poland, devoted to the history of Solidarity, the Polish trade union and civil resistance movement. The design of the building, by Polish firm FORT Architects, was the winner of an international competition held in 2007. The centre opened on 31 August 2014 and contains a research and academic centre and conducts educational activities, as well as providing space for conferences and temporary exhibitions. You may take a direct flight from several European cities: Brussels (CRL airport), Copenhagen (CPH), Frankfurt (FRA), London (STN). The “Gdańsk Lech Walesa” (GDN) airport is 16km west of Gdańsk centre. A taxi from the rank in front of the terminal should cost about 60-70zł (approx. EUR 14). Taking a bus from the airport to the city is the cheapest option. Bus line 210 of ZTM Gdansk takes 40 minutes to get from Gdansk Airport (Port Lotniczy) to the main railway station of Gdansk (Dworzec Glówny). Both the venue and the suggested hotel are within 7-10 minutes from this station. Bus line 210 departs every 30 minutes on weekdays and every 60 minutes on Saturdays, Sundays and public holidays. A ticket costs 3zł and is available from the ticket machine at the Gdansk Airport bus stop. Neptun Taxi is the official taxi firm. Look out for their cars with the 19686 logo on the side. – send an email to [email protected] with a subject line ‘WindEurope Gdansk’, in which you specify the number and type of room you would like to book. 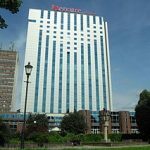 – the hotel will reply with a confirmation and will ask guests to guarantee their reservations by credit card authorizations or bank prepayment. The address is Jana Heweliusza 22, 80-890 Gdansk. Gdańsk is one of Poland’s oldest cities with a history going back a thousand years. It has an important place in Polish consciousness as the location of the start of World War II and where the fall of Communism in Central Europe began. This is where the famous Solidarity movement started. In the National Museum you can see a collection of paintings, the most famous of which is The Last Judgment by Hans Memling. The Wrzeszcz District has an atmosphere from the late 19th and early 20th century, including eclectic houses and Vienna Secession-style villas. The life of Gdańsk’s citizens is displayed at exhibitions in the Gdańsk History Museum, the Artus Court and the Uphagen House, where you can admire the wealth and splendour of the apartments of Gdańsk’s patricians. If you are interested in the history of maritime culture, come to the Central Maritime Museum.